WND: Klingenschmitt Lost Because The Judge Was A Lesbian! Back in November, a federal judge upheld the U.S. Navy’s decision to fire Gordon “Dr. Chaps” Klingenschmitt from his job as a chaplain after he broke military rules by wearing his uniform while speaking at a political rally and earned a series of bad job performance evaluations. Klingenschmitt, however, insisted that he was fired because he used the name of Jesus in his prayers and therefore was a victim of anti-Christian persecution. 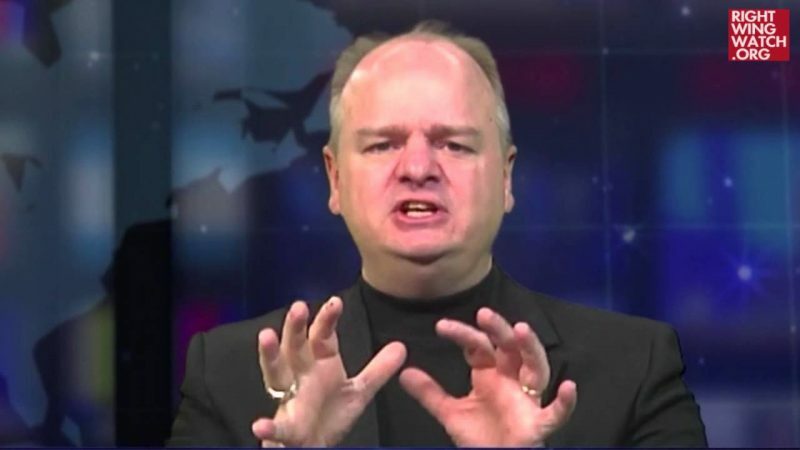 Klingenschmitt, who has built his entire career as a political activist on this claim of religious persecution, is now receiving support from the right-wing outlet WorldNetDaily, which implies today that the judge only ruled against Klingenschmitt because she is a lesbian. In an article with the headline “Lesbian Judge Takes On Jesus In Court,” WND reporter Bob Unruh suggests that Kaplan was biased against Klingenschmitt. 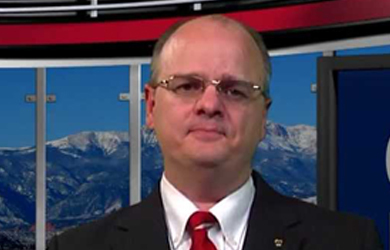 The decision by Elaine Kaplan of the U.S. Court of Federal Claims rejected the allegations of former chaplain Gordon Klingenschmitt, who recently was elected to the Colorado House of Representatives. 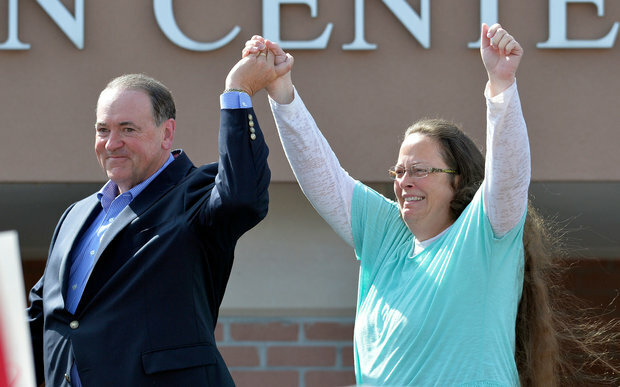 He had routinely prayed “in Jesus name” as part of his work as a chaplain. The judge, who formerly worked for the National Treasury Employees Union, was opposed by 35 GOP senators when she was appointed by President Obama. The Washington Blade, a homosexual-advocacy publication, quoted Fred Sainz of the Human Rights Campaign praising Kaplan’s confirmation. “LGBT people are increasingly visible in all areas of public service, but as a community that so deeply cherishes the virtues of fairness and equality, there is a unique power in seeing role models like Kaplan preside over a court of law,” Sainz said. She also explains her legal background includes “civil rights” work. Klingenschmitt told WND he likely will appeal the decision. “Is anybody surprised that a new Obama appointee and liberal judge ruled that a Navy chaplain can be legally punished for his sermons, punished for writing to Congress, and punished for praying in Jesus’ name in uniform?” he asked. “Although Judge Elaine Kaplan ruled against me, at least she affirmed how I was vindicated by the U.S. Congress, who rescinded [military regulation] 1730.7C after it was enforced against me in the Navy court,” he continued. “She also admitted in her ruling that the government really did punish me, a Navy chaplain, for quoting the Bible in chapel, which would be protected by the First Amendment, but this judge refused to correct the Navy’s obvious abuse of power. “She also acknowledged that I had written permission to wear my uniform during ‘public worship’ but that my prayers offered in Jesus’ name at a press conference did not qualify as ‘public worship,’” he said. “Finally, she acknowledged I was punished for writing to my congressman and the president, but again claimed she didn’t have jurisdiction to enforce whistleblower laws. My lawyer and I plan to immediately appeal this bad ruling, and again later if necessary all the way to the Supreme Court,” Klingenschmitt told WND. 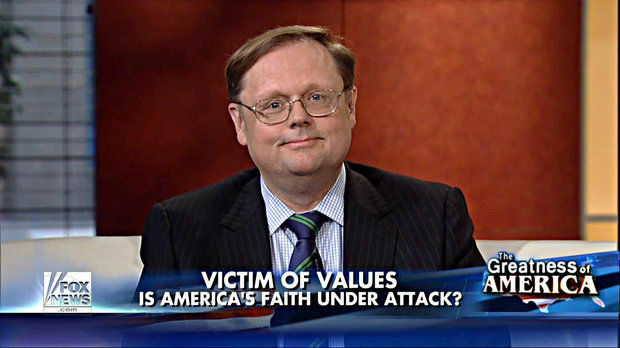 Todd Starnes: Judge Should’ve Ruled With Catholic Church Over The Constitution!